Hello Friends, Today I am going to explain all the Possible Ways to Hack an Email Account and in my next tutorial I will explain How to Save your Email Account From Getting Hacked. Most of us believes that email accounts cannot be Hacked but in this world nothing is impossible to hack. Email account hacking is like counting numbers 12345…. Now you ALL will think that I am joking but I am not . You will going to believe when I explain the various ways to HACK EMAIL ACCOUNT. I know most of you are various curious about How To Hack An Email Account?? As a normal user mentality we want to hack email accounts of our friends for fun,spying their activities..etc..So I will not waste your much time and come to the TOPIC….So Guys Read On…..
1. Keylogger (With and Without Physical Access). 2. Using Remote Administration Tool. 3. SPECIAL ONE ( PHISHING but doing it in a Smart Way). a. WHEN YOU HAVE PHYSICAL ACCESS OF SYSTEM. So friends lets start our first Method . From the title you came to know We are concentrating on Hacking the Email Account but this is the universal Method to hack Anything for a Particular user as we will get all the Key Strokes by the user in the form of Written Log. I have already discussed this method previously but only using the WEB BROWSER Keylogger. There are more other keyloggers like EcodSoft KeyLogger which are still undetectable by any AntiVirus. Ecodsoft Keylogger is and All in one Invisible Keylogger . Ecodsoft Keylogger is very powerful monitoring software which could record and log all the computer activity. This key logger tool work in stealthy mode and completely invisible to other people. It could not only record key stroke but the software informations such as applications launched, websites visited, and popular Instant Messenger log. As the best computer monitor and logger software, Ecodsoft Keylogger is very easy to use with its friendly UI, even for the beginners. After install on any PC you want, it could record and save allthe activity. So it could be excellent parent control and surveillance tool and also could work as a employee monitor.Now you could download it for free and try it easily! It is the best way to hack the remote systems on which you dont have the physical Access. First of all you have to understand How it works. HOW REMOTE KEYLOGGER WORKS ? The Remote Keylogger runs as a hidden/Invisible process that logs all the keystrokes typed on the computer it is running. The Remote Keylogger then delivers the set of Keystroke logs at intervals set by the hacker to a certain specified location such as email account of the Hacker or some FTP address. There are Various Keyloggers available in the Market but most of them are detectable by antivirus softwares. You can use any of the Remote Keylogger like Lethal Keylogger or Armadax Keylogger or Golden Eye…Its your choice but all of them are detectable. Now you need to know How to Make them Undetectable. There are other methods too to make Trojan or keylogger undetectable like use the software SOFTWARE PASSPORT or u can also do it by opening the packed file with hex editor and editing some signature data. These are some advanced techniques . Don’t worry I will Explain All of these techniques but in Latter Hacking Classes. So Enjoy and Have Fun…. Remote Administration Tools means RAT are the software programs that remotely monitors the each and every details of the Work being done on the system. It’s working is similar to Remote Keylogger. As the name of the RAT comes into my Mind and I always remember the one Name “TROKUZAN”. The dad of all Remote Administration Tools. There are other various remote administration Tools like SPY RAT,SNIPER SPY,WIN SPY etc.. but most of them are detectable and make them undetectable you have to follow the similar steps as explained above in case of REMOTE KEY LOGGER. There is no method to prevent you from the RAT if it enters into your system. So try to avoid downloading files from anonymous sites,downloading waste hacking tools, keygens, cracks etc. Sorry Guys I cannot Tell you This method on my Website. As its extremely dangerous technique and its Working ratio is 100%. I will only tell you How to Prevent yourself from It because you will never been able to know that your Account is Got Hacked and when. 1. 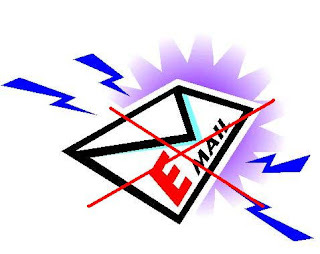 Never Follow any Link from you email account even its from GOOGLE, ORKUT or ANY WEBSITE. 2. ALWAYS CHECK THE ADDRESS BAR CLEARLY ALWAYS BEFORE FOLLOWING ANY LINK. 3. Never Share your personal information with anyone or send it to anyone. 4. Never Open Mails like YOU WON THIS AMOUNT or LOTTERY. Because the are BOT emails. I HOPE YOU ALL HAVE LIKE THIS HACKING CLASS…IF YOU HAVE ANY QUERIES .POST COMMENTS………. Copy the sam file when win is running. Email me if you want to help! Bethsblogemail (at) g mail (dot) com.